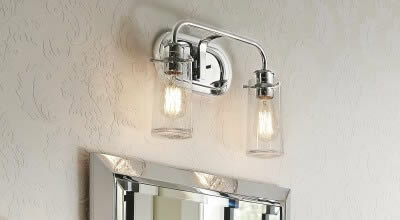 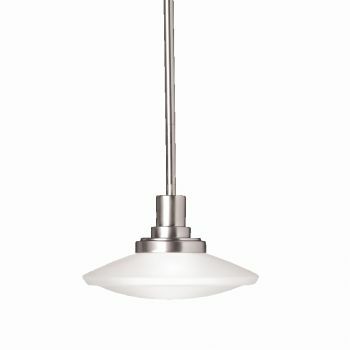 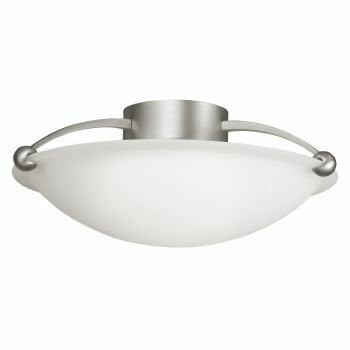 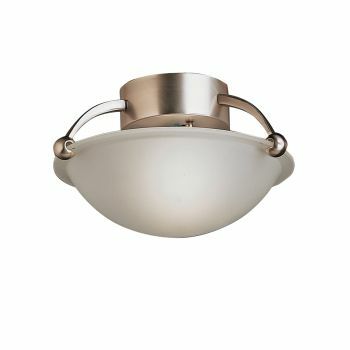 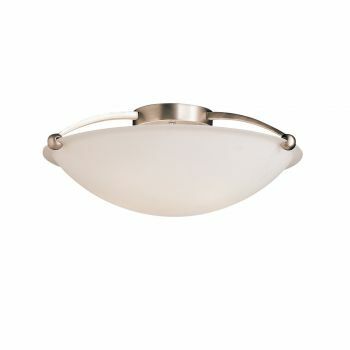 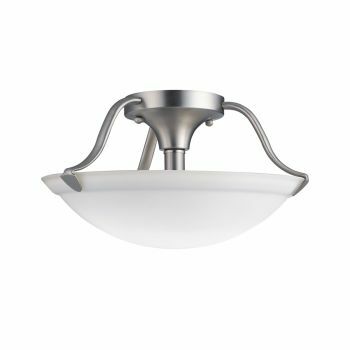 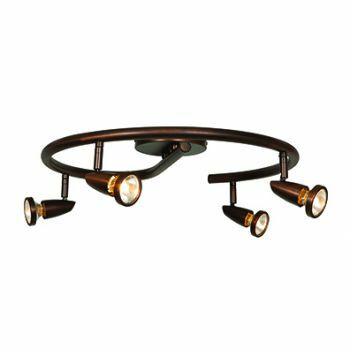 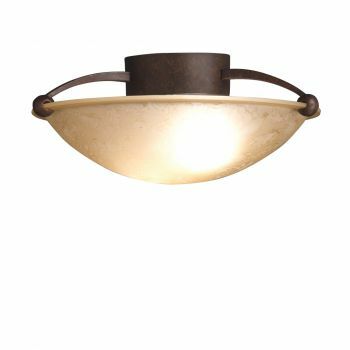 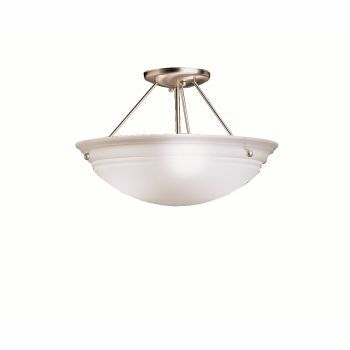 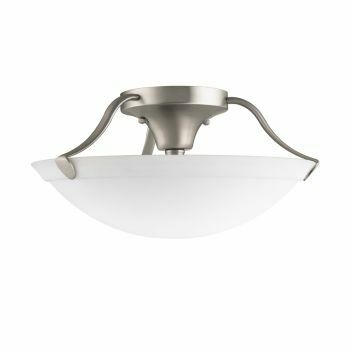 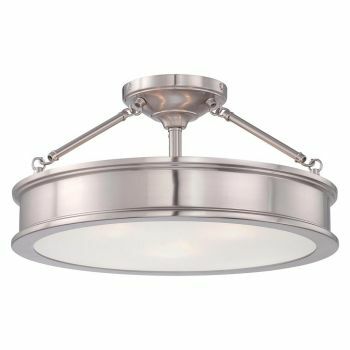 Semi-flush mount lights are so named because while they are mounted directly to the ceiling, the actual light source hangs down slightly, so the light shines both up and down. 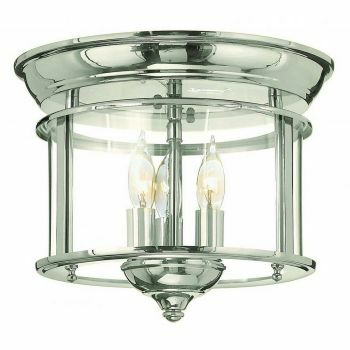 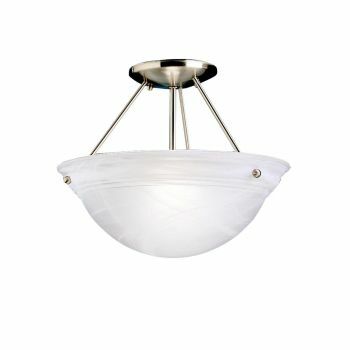 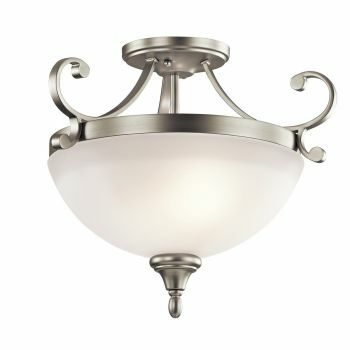 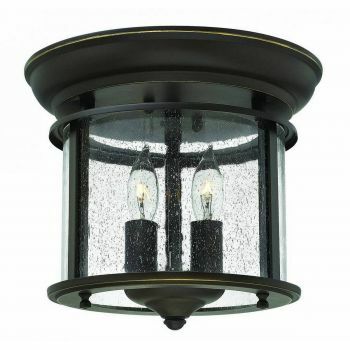 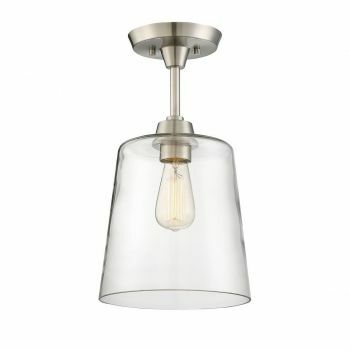 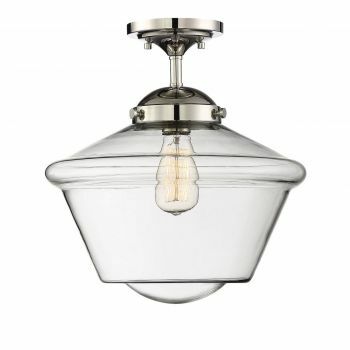 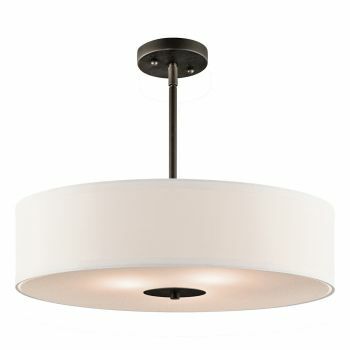 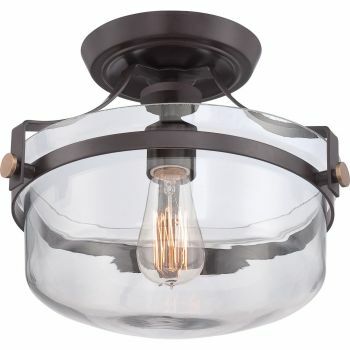 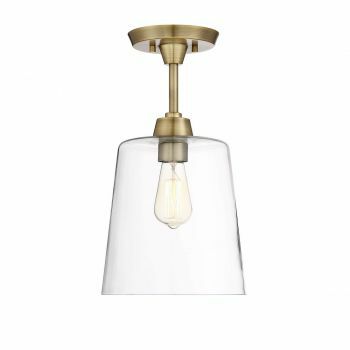 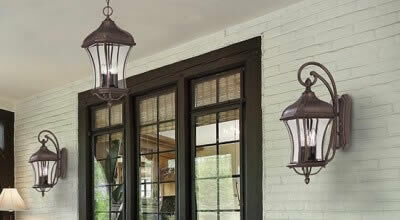 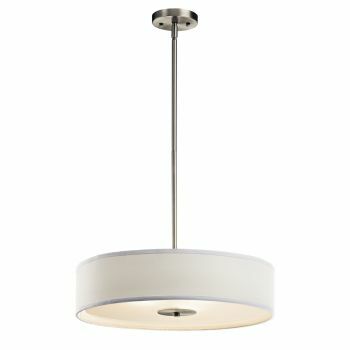 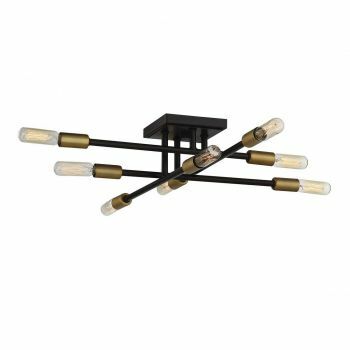 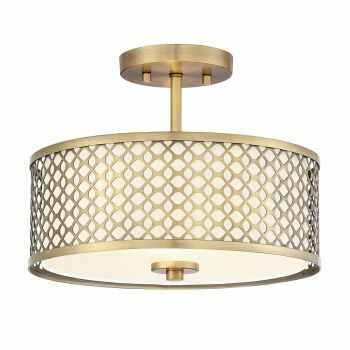 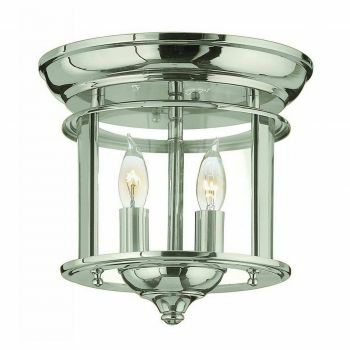 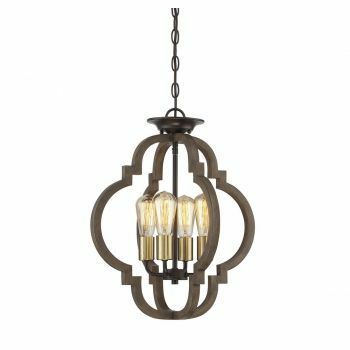 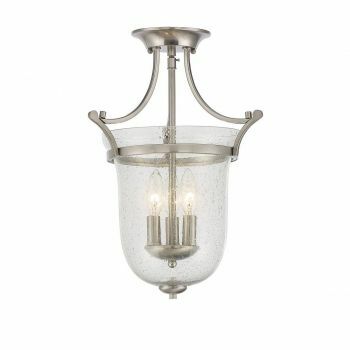 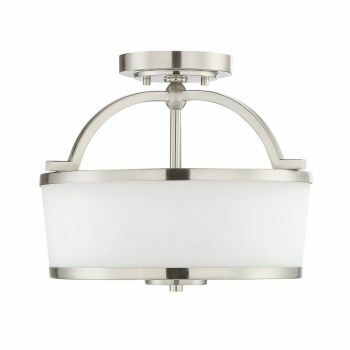 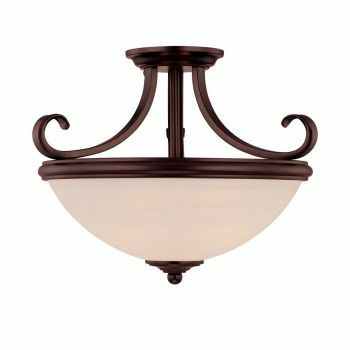 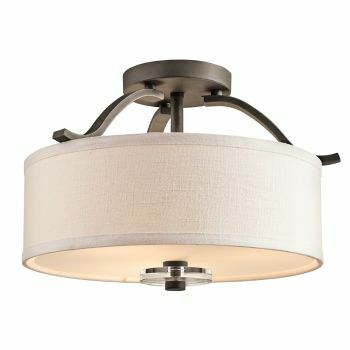 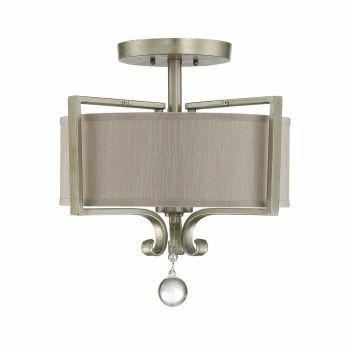 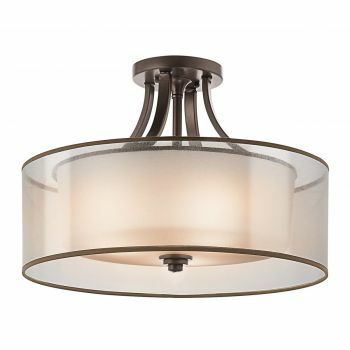 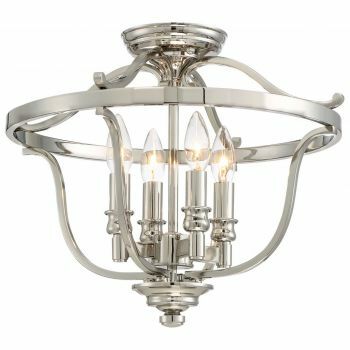 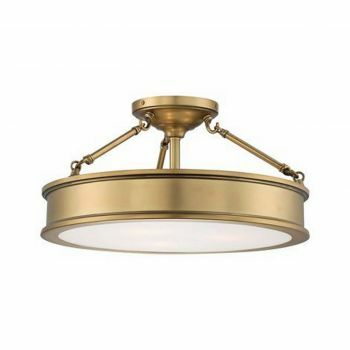 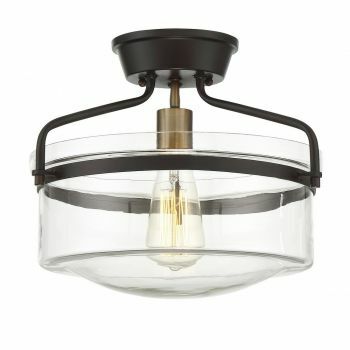 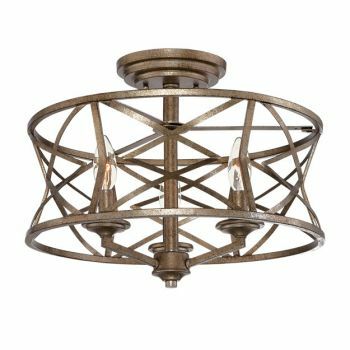 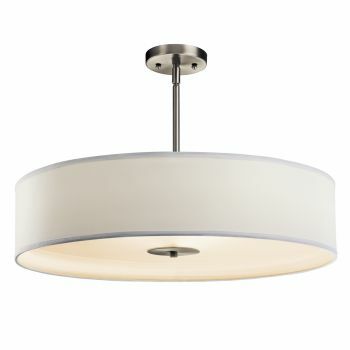 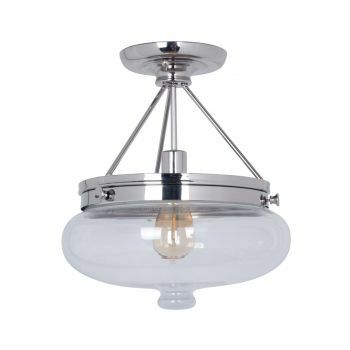 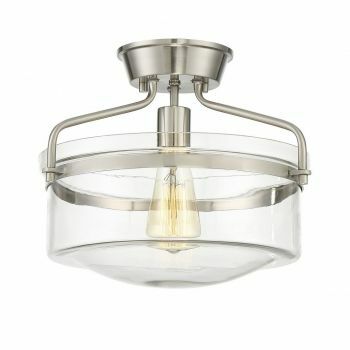 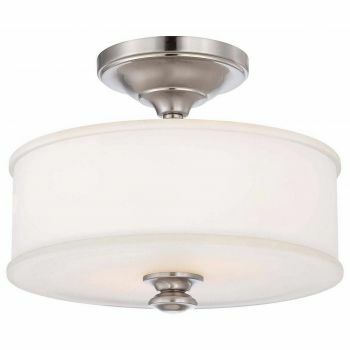 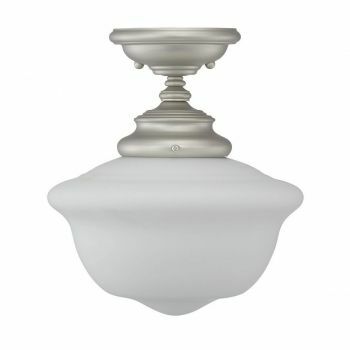 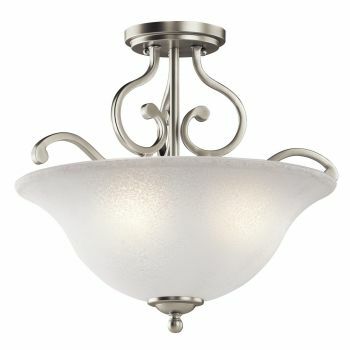 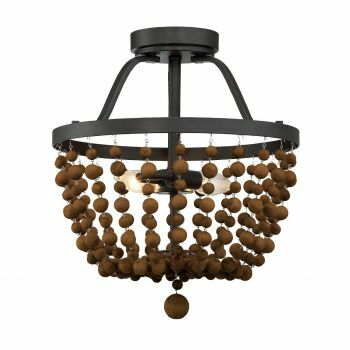 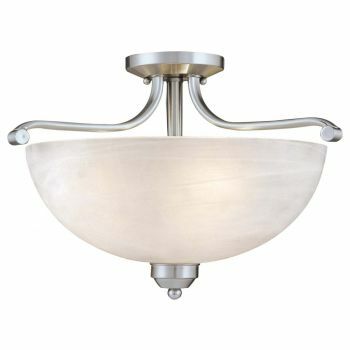 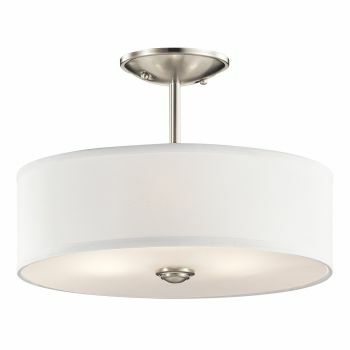 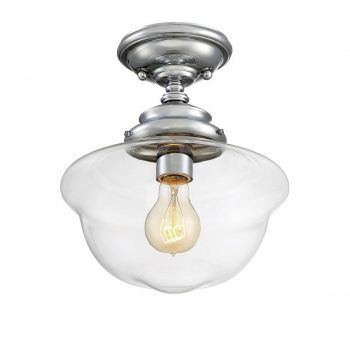 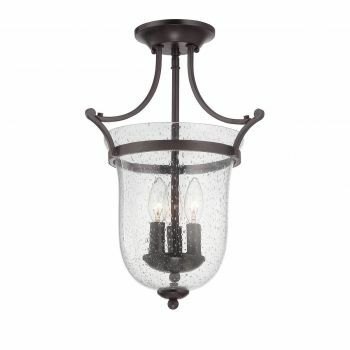 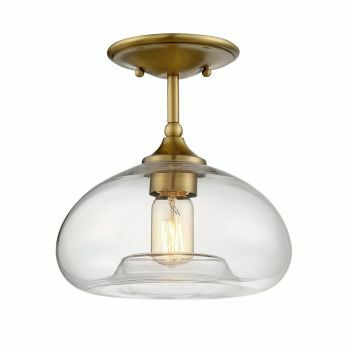 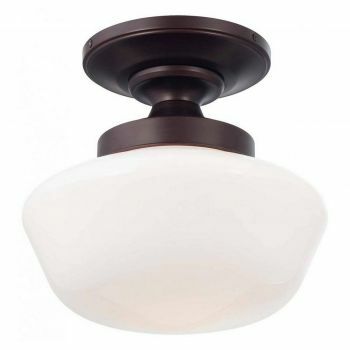 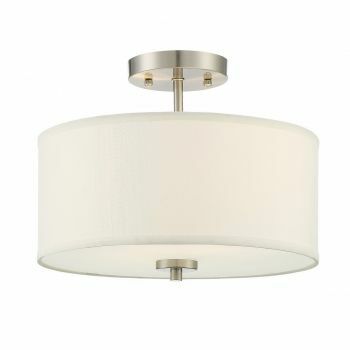 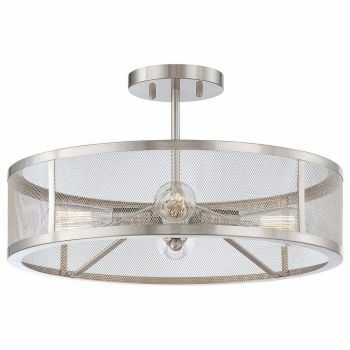 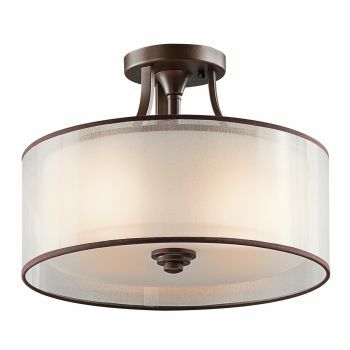 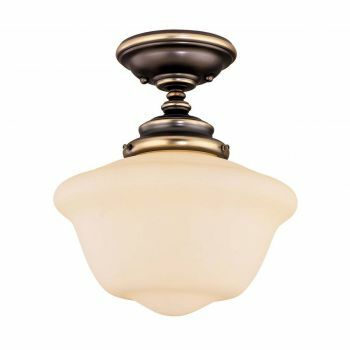 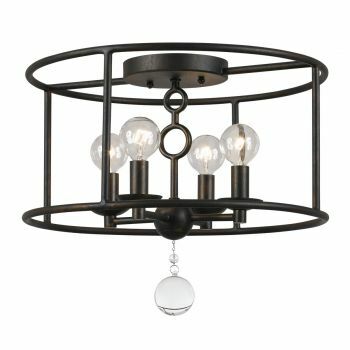 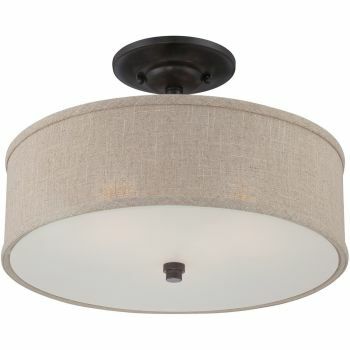 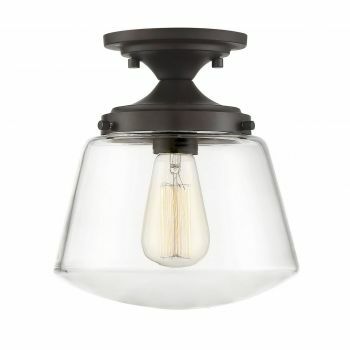 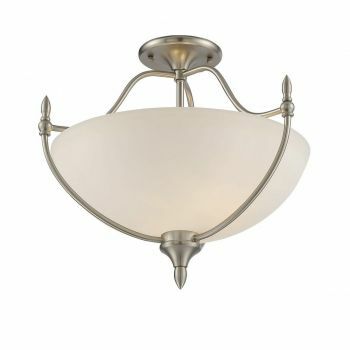 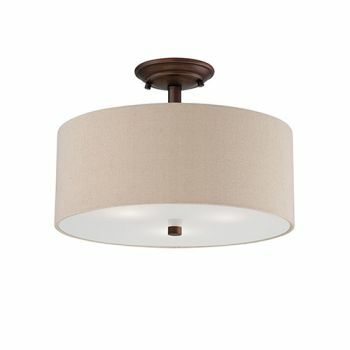 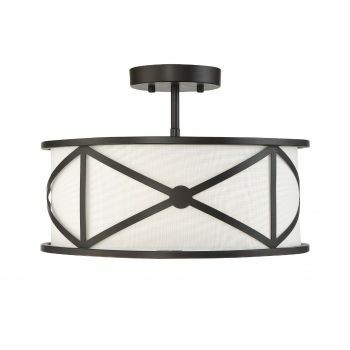 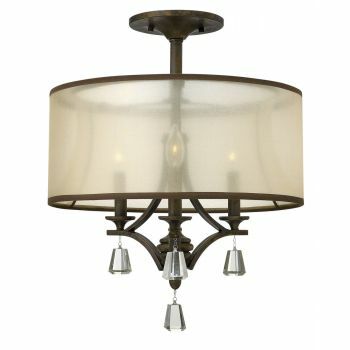 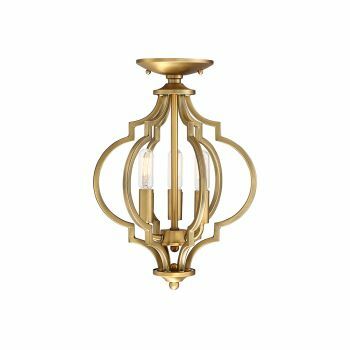 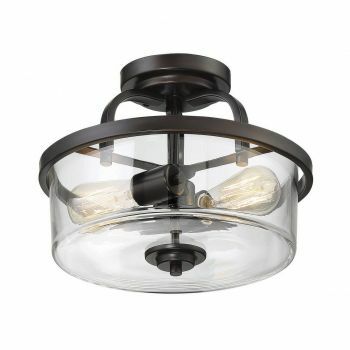 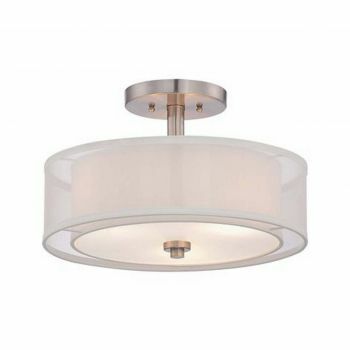 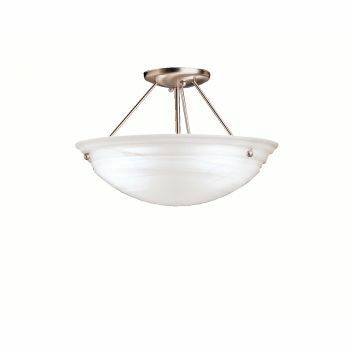 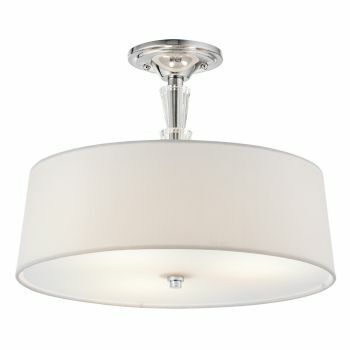 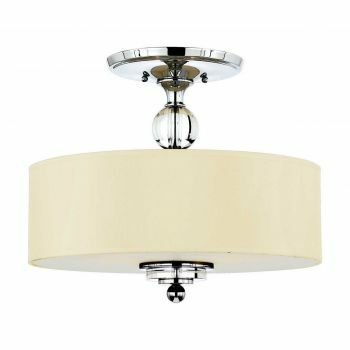 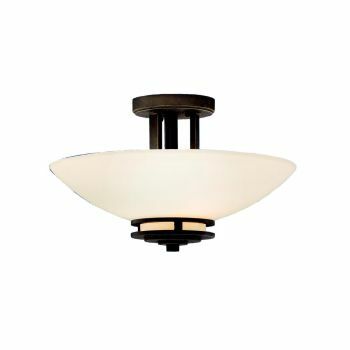 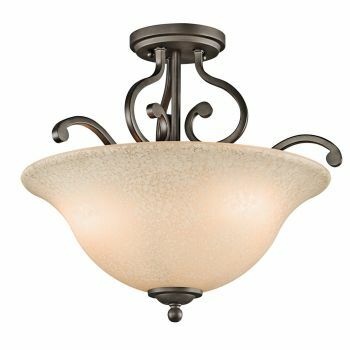 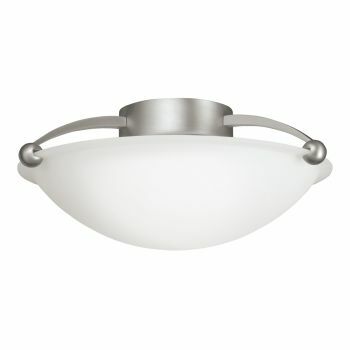 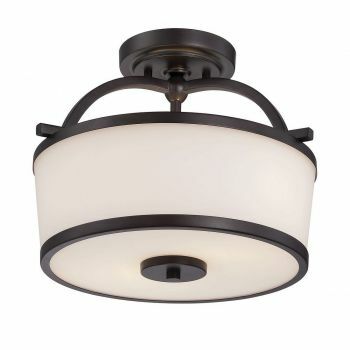 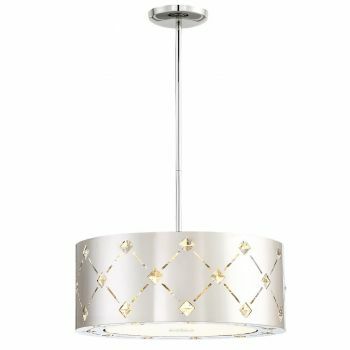 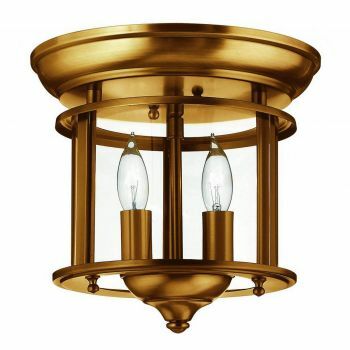 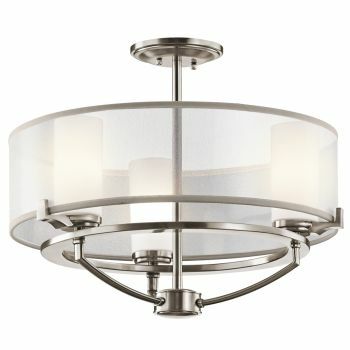 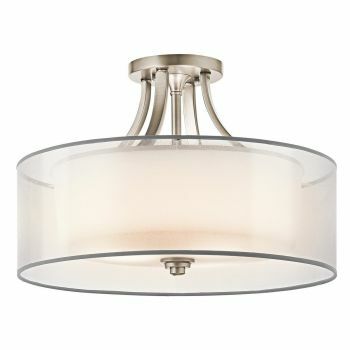 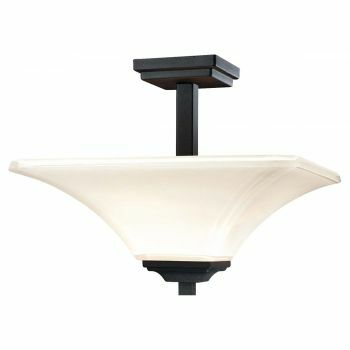 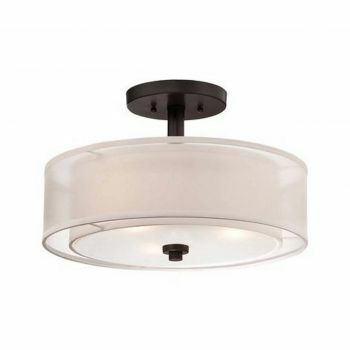 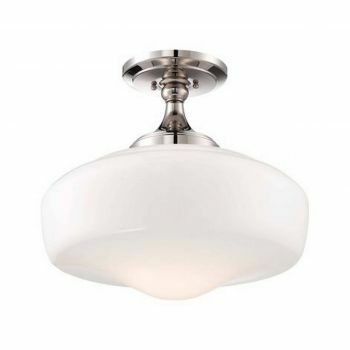 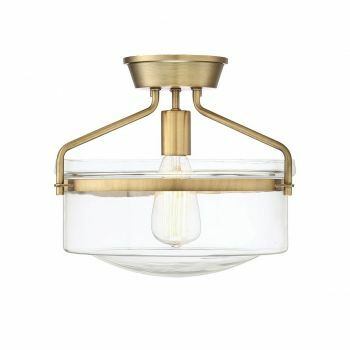 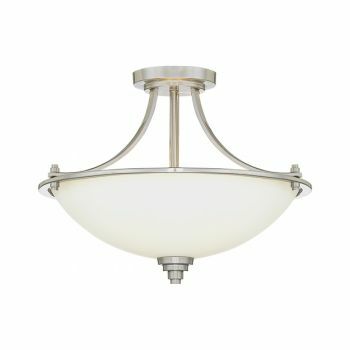 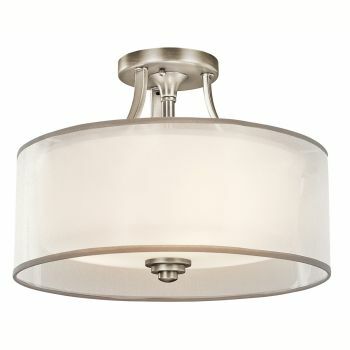 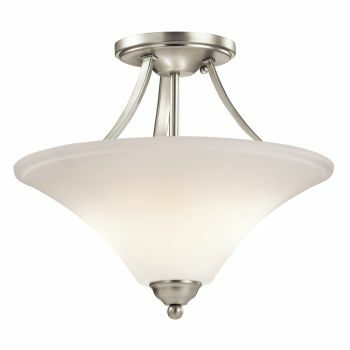 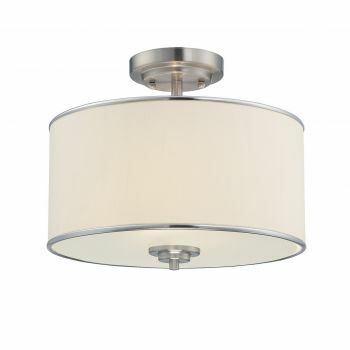 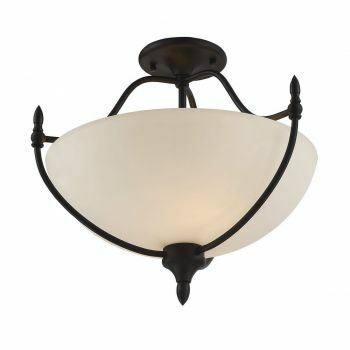 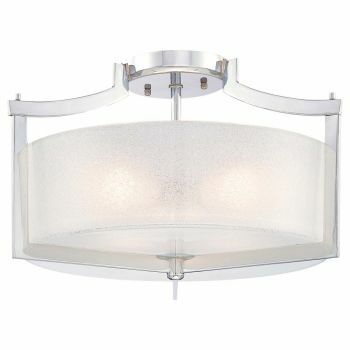 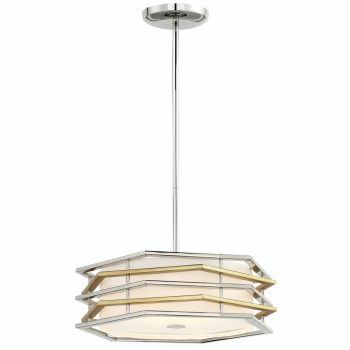 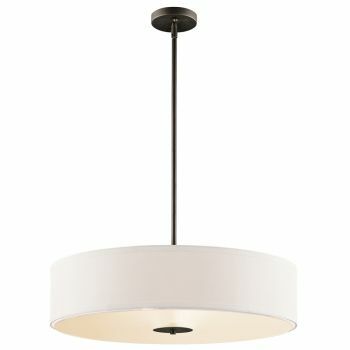 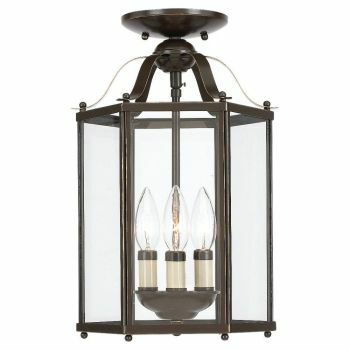 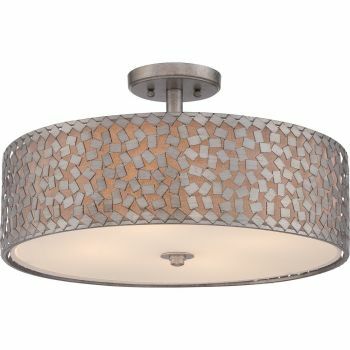 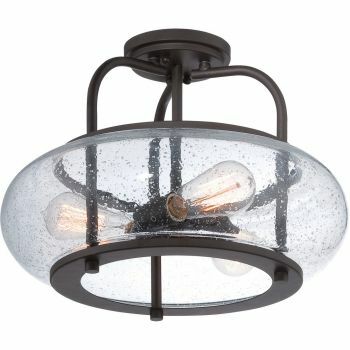 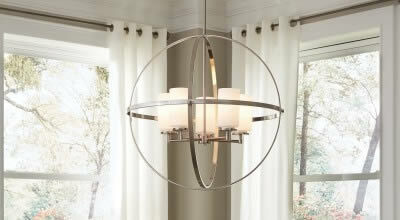 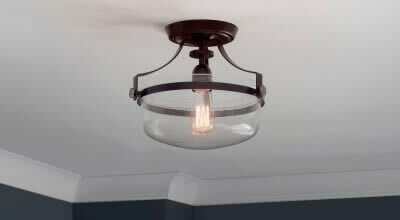 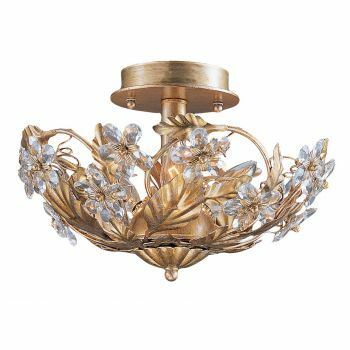 Like their flush mount cousins, semi-flush mounts are commonly used as ambient lighting in a wide variety of rooms: kitchens, bedrooms, bathrooms, hallways--you name it, a semi-flush mount can go in there, especially when you can't use a chandelier or pendant. 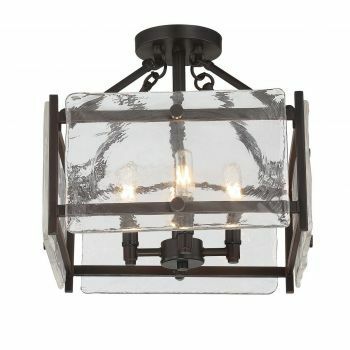 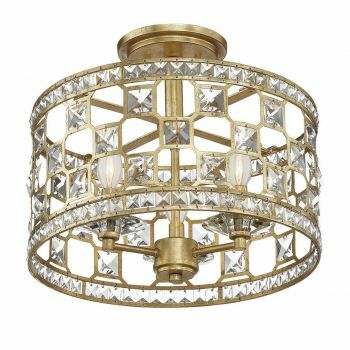 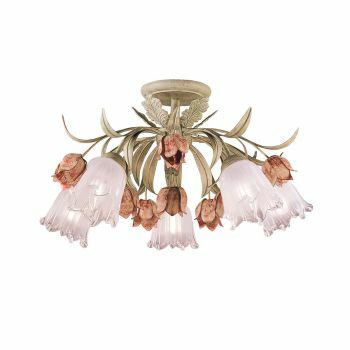 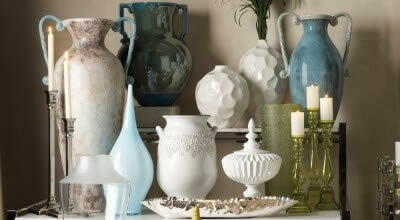 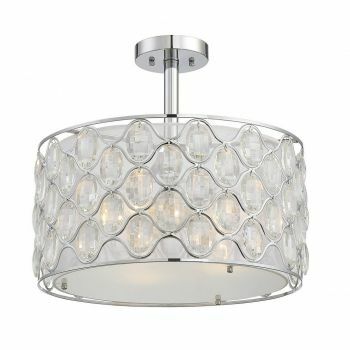 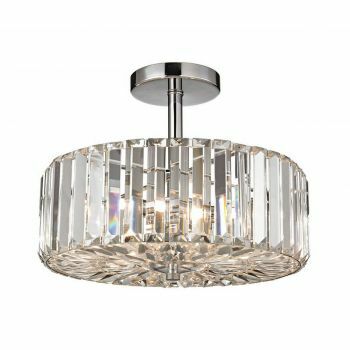 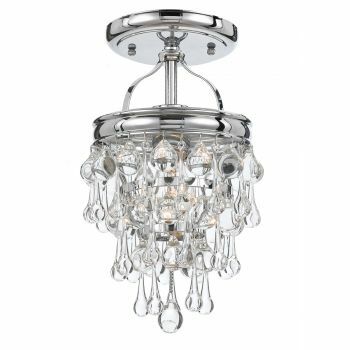 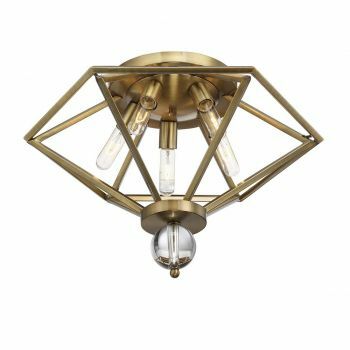 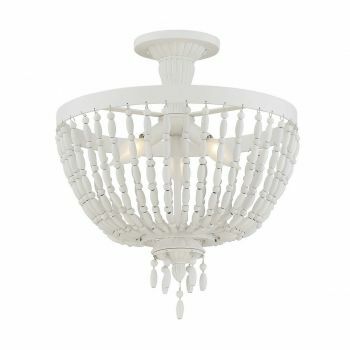 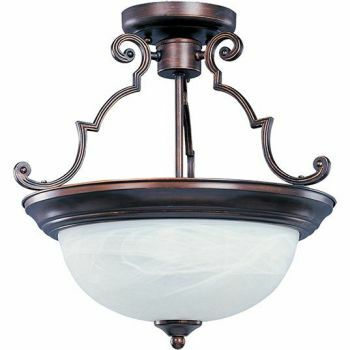 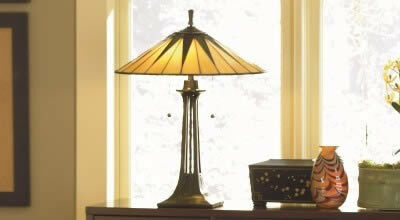 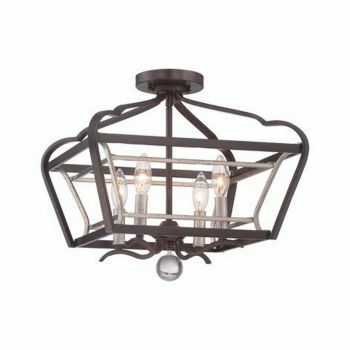 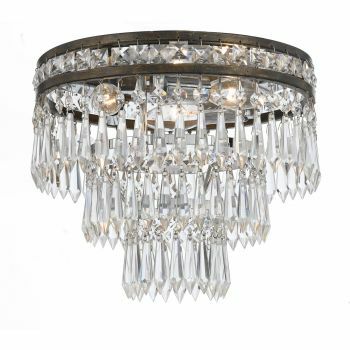 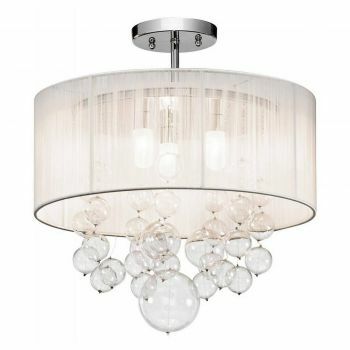 Semi-flush mounts are available in a great variety of styles, including vintage looks, crystal-adorned ones that often look like small chandeliers, intriguing modern ones, ones with drum shades and many more!